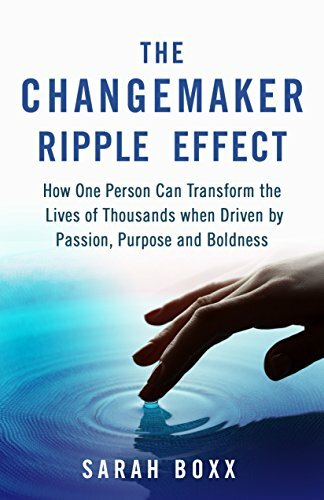 How one person can transform the lives of thousands when driven by passion, purpose and boldness. “Do you believe that real, significant change in our world is possible? Do you ache to ‘turn off’ the negativity we are constantly being bombarded with and reconnect with a dream that will transform the lives of others? Ian, a businessman and entrepreneur, who for the past 25 years devoted his life to volunteering and improving the conditions and resources for children and youth. A young man named Julian, who overcame early life challenges that led him to California, where he built a movement for musicians. Michelle, who is a triathlete, advocate for exploited children and international human resource consultant. Gerard and Stacey, a French documentary filmmaker and a U.S. social justice champion, who joined forces for hope. A woman name Cherie, who grew a small nonprofit organization into a regional force for change and a platform for addressing poverty.